‘Tis The Season For Pears! Feels like we are well and truly into Autumn as the pears are nearly ready!! Forgive my excitement but from the moment the pear blossom appears at the end of April I count the days to harvest time. 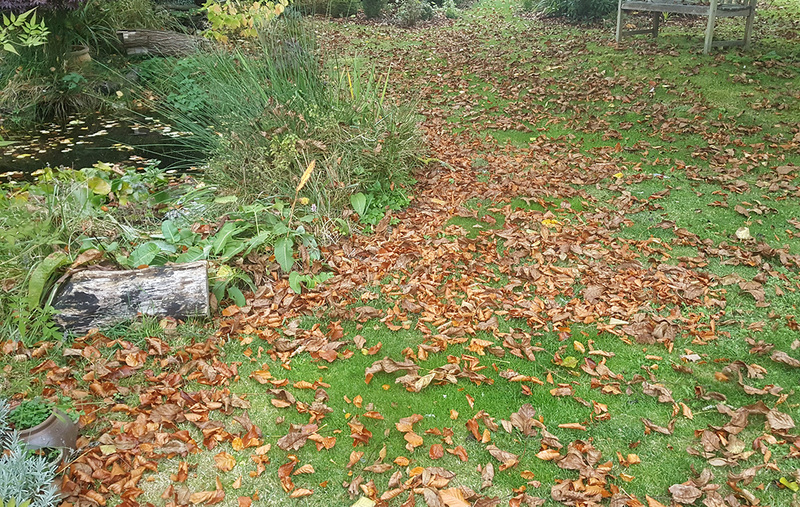 The beech and walnut trees have turned and the leaves are falling and the lawn is looking like a beautiful middle eastern carpet with its gorgeous tapestry of browns and beige. Although they look stunning if you leave them on your lawn it will encourage moss. I find the best remedy is to bring out the mower and set it on the highest setting and just mow over the top of them. Great thing about the mower is it picks up the leaves and shreds them at the same time, which is great for producing leaf mould. But … my success this year has to be the Doyenne du Comice pears. Simply gorgeous. 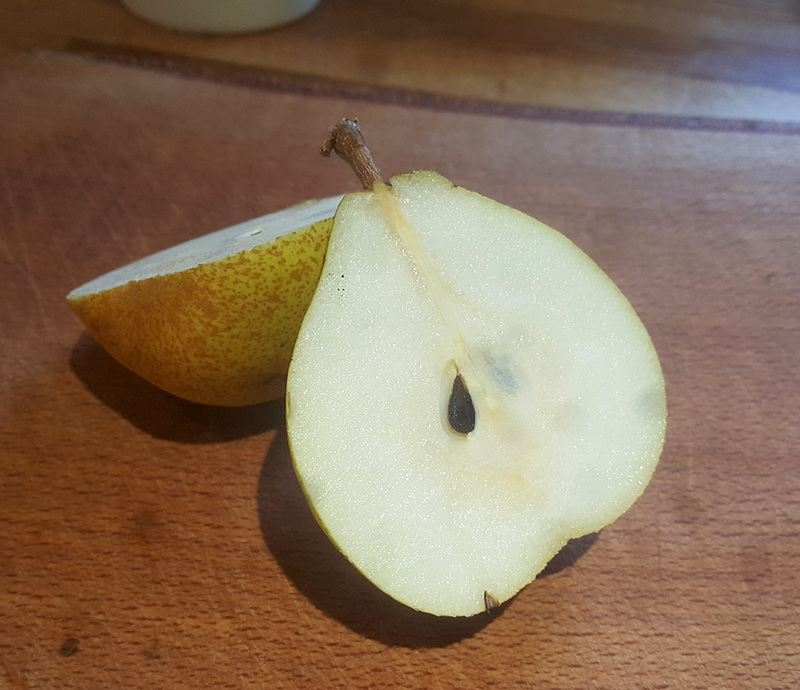 Last year was a bit of a disaster as the pears all dropped when they were small fruits on the tree. Disappointing to say the least but this year both the Conference and Doyenne du Comice have cropped really well and have reached a good size. 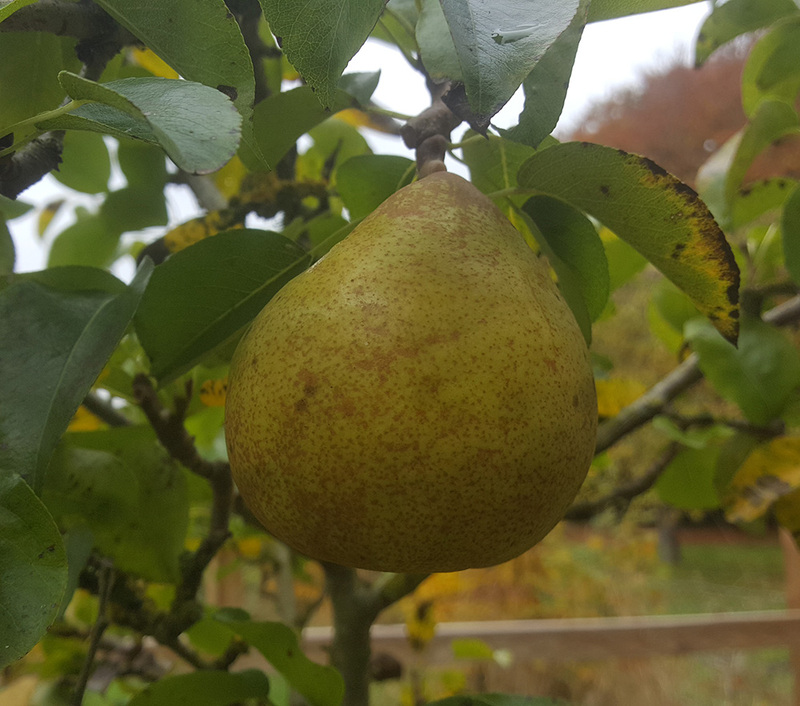 It’s at this time of the year we harvest our pears as there is a knack to ripening them to ensure they retain the sweetness and flavour. We planted 3 year old bare root trees in 2008 when we planted the orchard and they’ve always produced the most amazing blossom (first of the fruit trees to blossom) but never really delivered much in the way of fruit for the last few years. But this year they’ve done brilliantly! No special treatment, just plenty of water when the weather was dry. I learned a great tip for ripening home grown pears. I didn’t know but they don’t ripen well on the tree apparently … at least not in the UK. Instead you need to bring them into store in a cool dry place and let them ripen naturally. So I thought I’d give it a go! 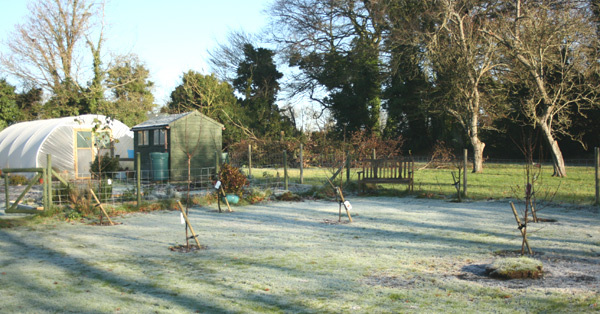 We have a covered area in the front of the workshop where it stays dry and fairly frost free. Should do just fine. I’ll also bring a few into the house as I think the heat may ripen them quicker and to be honest I can’t wait much longer! 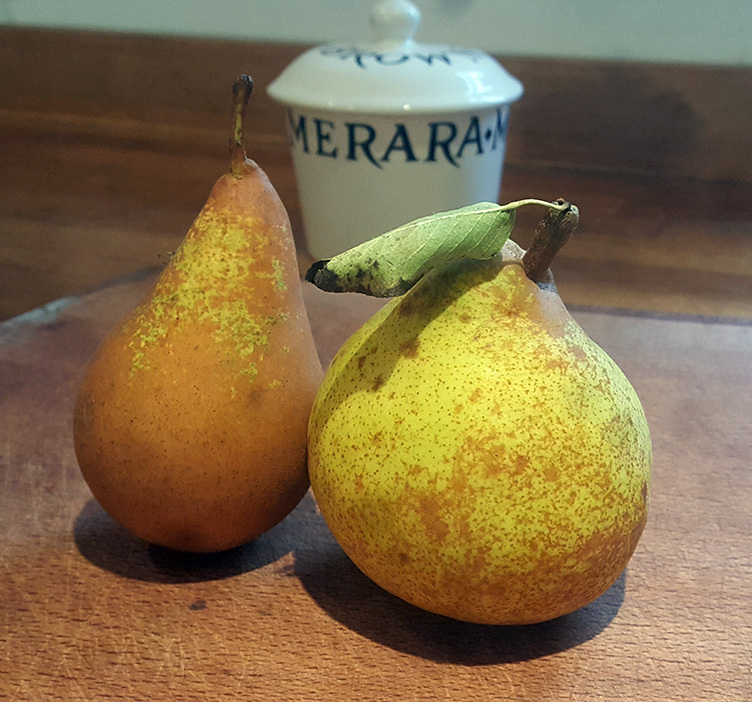 If you haven’t grown pears before give it a go as they are a bit special. Now I’m off to find a recipe for home grow pears. Oh and we’d love the hear from anyone that has any recipes for pears and I’d like to make Pear brandy but I wouldn’t know where to start? All ideas most welcome. PS: We hope to have an important announcement in the coming weeks … it will explain why we haven’t been posting for a while. Exciting times!!! Children’s and Baby’s Quilt Blankets – Finally Launched My New Etsy Store !!! How To Restore a 16th Century Cottage – Update! Secret To Healthy Life? 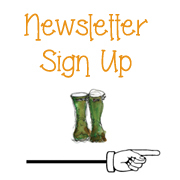 – Grow More Rosemary Plants!